Rapper Kanye West has outraged fans after posting an ethnically-charged casting call for his upcoming fashion show on Twitter. 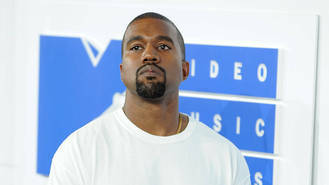 The Famous hitmaker is preparing to throw a catwalk event for his Yeezy Season 4 clothing line soon and, in a bid to recruit models, he posted an image on the micro-blogging site on Saturday (3Sep16) inviting "multiracial women only" with "no makeup" to try out for the gig on Sunday (04Sept16) at Jack Studios in New York City. The tweet did not sit well with some of his followers, because the invitation left some fans feeling excluded. "Hmm @ multiracial women only," one user replied before questioning, "Does that include the dark skinned multiracial women or just the light skinned ones?" Another tweeter noted Kanye's specifications for models seem to reflect his own personal taste in women, as his ex-girlfriend Amber Rose and his current wife Kim Kardashian are both biracial. "Multiracial = ethnically ambiguous = Amber Rose-ish = Kardashian-y = mixed = no Black women allowed," the user wrote. A particularly upset Twitter follower called West out for supporting racist practices in the fashion industry with his casting call, noting: "This is a major issue. In an industry that consistently cuts Black models out, you do this?! You are the absolute worst. Truly." This isn't the first time West has received criticism ahead of one of his catwalk shows. Last year (15) fashion designer Anne Bowen slammed the rapper for changing the date of his event at the last minute, because his decision to alter the time of his presentation left her and others scrambling for press attention as bloggers and critics flocked to see his clothes. "Kanye knows he is a media sensation and it is just not ethical to do this," she told Women's Wear Daily at the time. "It's like we are David and he is Goliath. We have put our heart and soul into our show, and should not be stepped on like this." West is expected to host his Yeezy Season 4 runway show on Wednesday 7 September (16) as part of New York Fashion Week. Beyonce is working with Naughty Boy on new music. Rita Ora was given the honour of performing at the vigil for Mother Teresa's canonisation in Rome last night. Niall Horan is reportedly the latest One Direction member to sign a major solo album deal. Perrie Edwards is reportedly wary of committing to her new beau too quickly. Chance the Rapper and a date were once serenaded by Frank Ocean. Olly Murs has "high quality sushi" on his tour rider. Rihanna has told rumoured boyfriend Drake she loves him after his touching speech at the MTV Video Music Awards. Chase & Status are the first performers to be announced for this year's MOBO Awards. Jon Anderson has been honoured with the prestigious Prog God award.